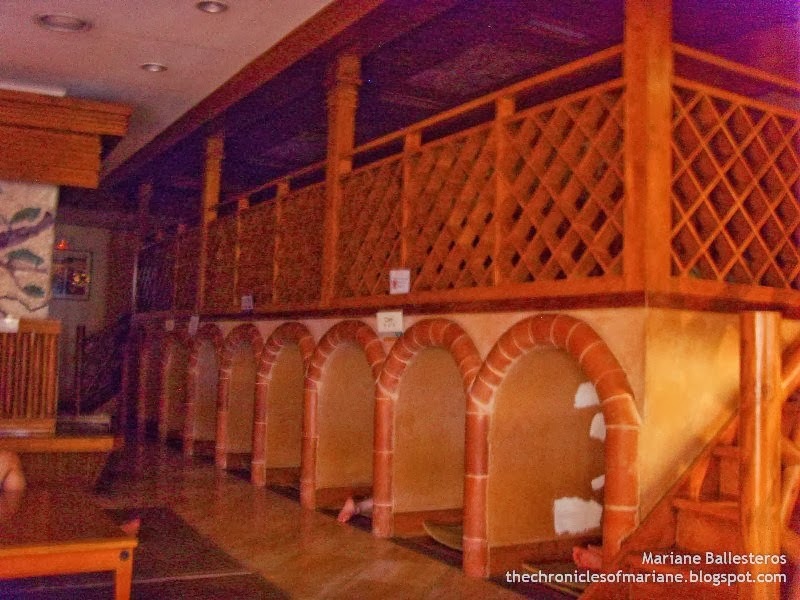 Ever since I posted my jjimjilbang experience in Jeju, I got several inquiries from some Pinoys on how they could see or experience this sauna that has its roots from Korea. I didn’t reply at first because I wasn’t aware if there are jjimjilbangs in Manila, but luckily, one day, as I was browsing on coupon sites for a good deal on Mother’s day, I chanced upon Lasema’s promo in Ensogo priced for 495 pesos that includes massage, jjimjilbang and sauna usage. 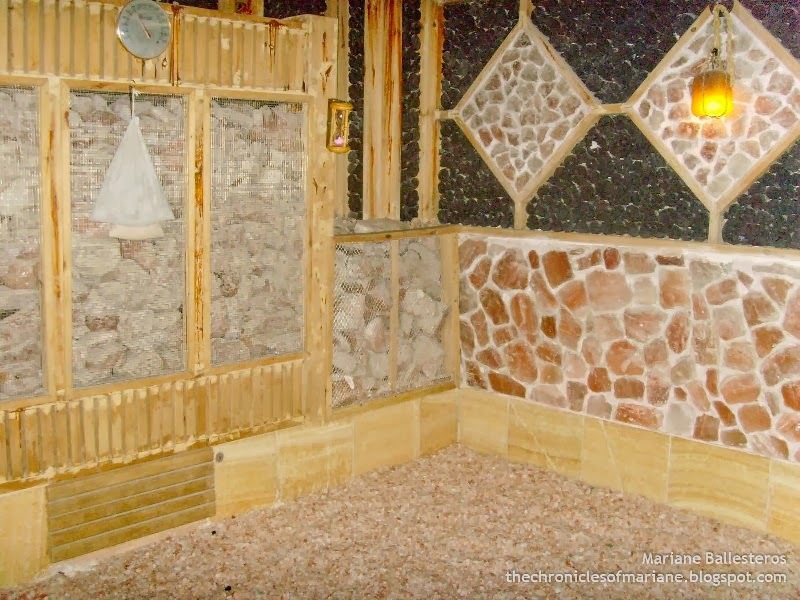 I snagged a deal for the whole family for a nice relaxation day at this one of a kind sauna. 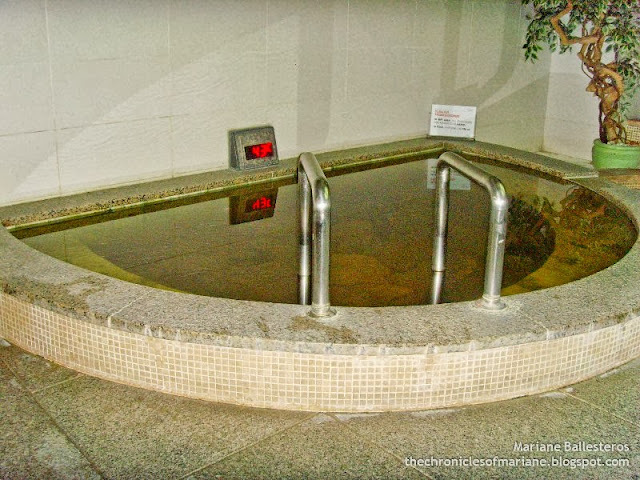 For those who don’t know what a jjimjilbang is, it is a large communal gender-segregated bathhouse that features traditional Korean saunas, hot tubs, and massages, it is a bit similar to the Japanese’s sento. The fun thing about jjimjilbangs is that it almost feels like you’re at home when you’re there because aside from the spa and sauna part, they also have entertainment area with TVs and PCbangs / internet café, small restaurant, and sometimes even a karaoke! The location of Lasema could be quite tricky to find if you are not very familiar with Makati. Just tell the taxi driver to drop you off INSIDE Makati Golf Club. We went in circles trying to find the place since we did not have an idea it was inside the golf joint. 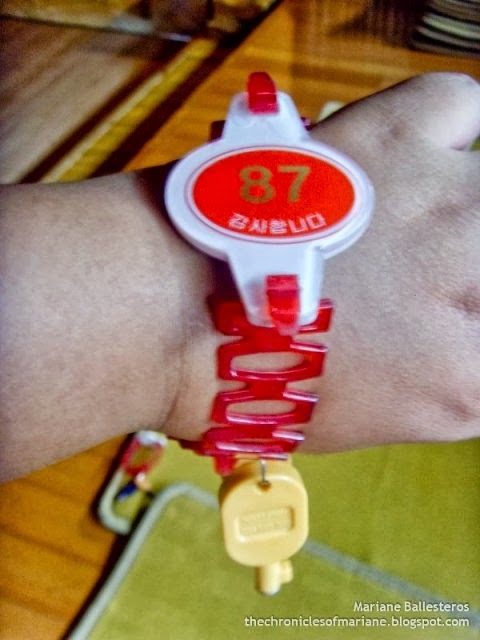 Upon presenting our voucher, we were given the usual uniforms: shirt and shorts, color pink for women and blue for men, two sets of towels and the bracelet for safekeeping of the locker key, this bracelet will also serve as your timer that records the time of your check-in and check-out and a recorder of all your purchases at the store inside. I was told that we cannot bring our own food inside which was a bummer. My dad had to part with us for a while since the entrance is already separated, locker room for men and women. (Tip: No shoes or slippers allowed inside) My mom and sister giggled when we entered because they immediately spotted the naked ahjummas. 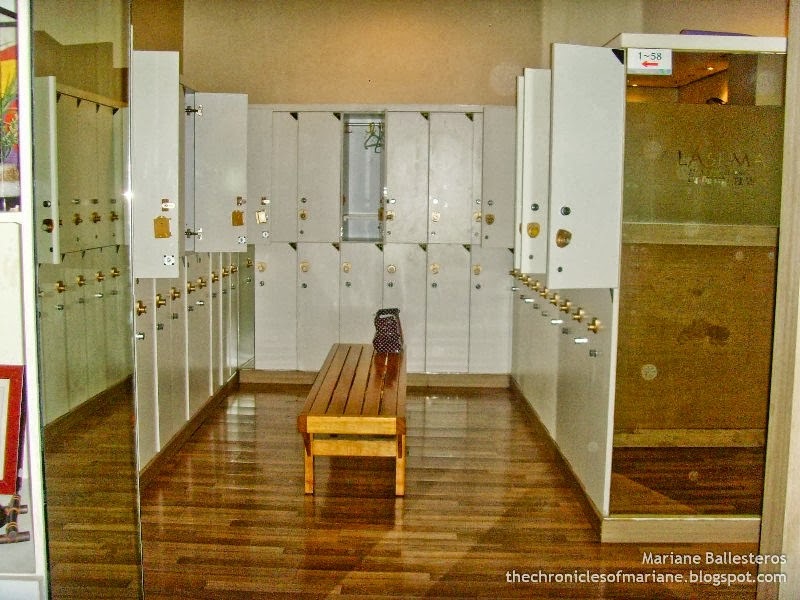 Aside from the area being a locker room where you have to chance your clothes, the wet sauna is also at the same room thus the naked women all around. There is also a powder area that has the basic shower necessities such as lotion, facial wash, hair dryer, combs, powder, cotton buds. 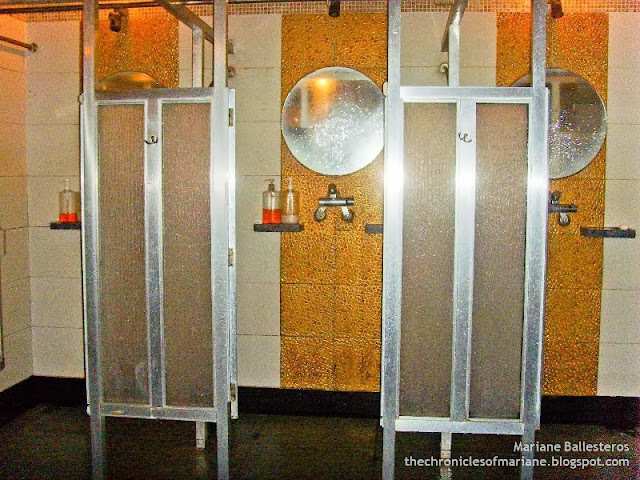 When I was there though, the area did not have cool ventilation so it was a bit hot in there. Don’t lose your key, else you’ll need to pay the P 700 charge! After changing to our jjimjilbang attire, we met with our dad at the common area. 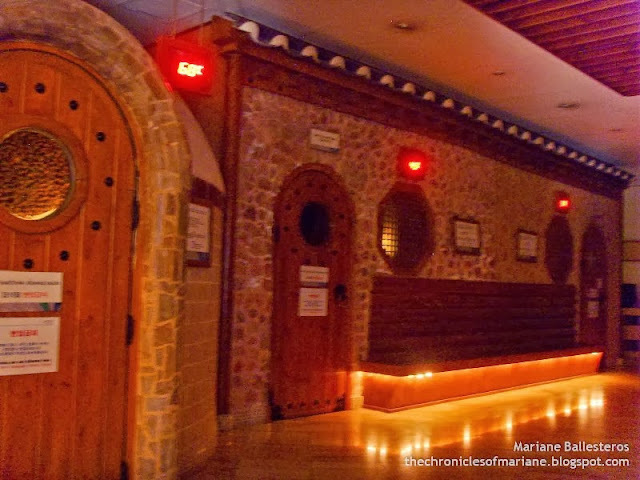 We decided to check out the cave rooms wherein the traditional Korean dry saunas are situated. The Dome Clay Sauna features a mineral called Chungito also commonly known as the miracle mud. It is an alkali mineral mud produced from volcanoes that is said to contain crystals that invigorates the body and releases negative ions. The temperature here can range from around 60 to 70 degree Celcius. Hot indeed. Oven? felt like I was being roasted! 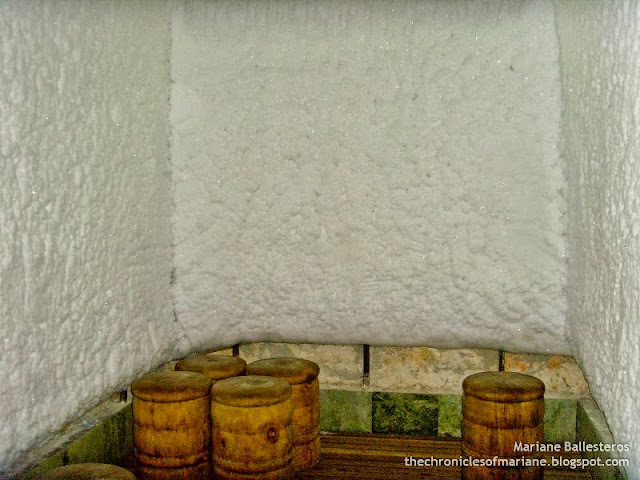 The Salt Charcoal Sauna contains soot that is said to have “holy powers” by traditional Koreans. 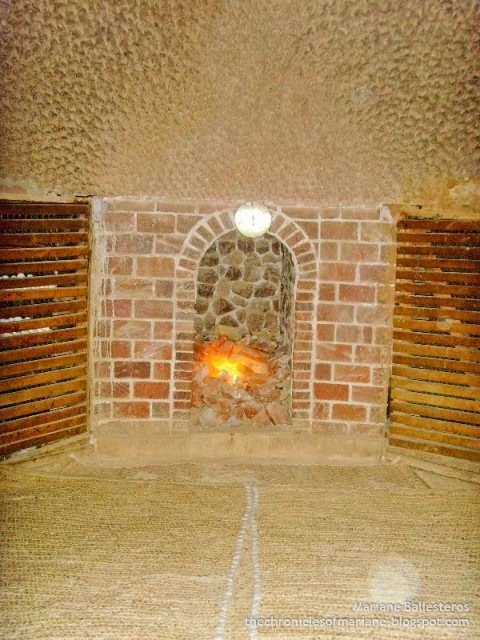 The Salt charcoal is made by slowly burning the wood of an oak tree and the result is a dark charcoal that contains carbon, and several minerals such as calcium, magnesium and iron. The effect in the body are providing good metabolism, helps on detoxification, and produces equilibrium between acid and alkali. This room is not that hot compared to the first one, 48 to 52 degree Celsius is expected heat. 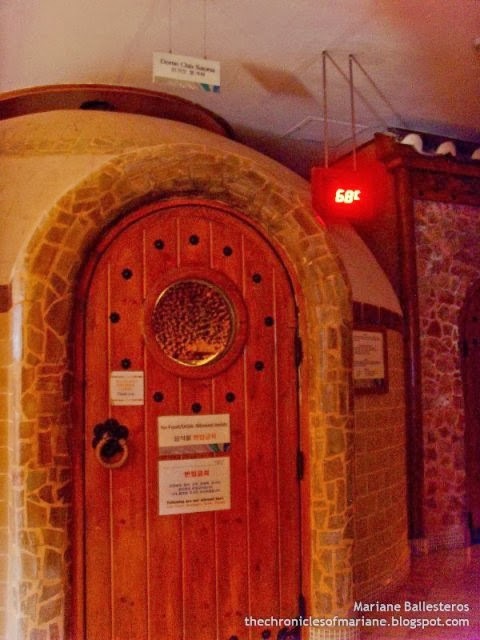 The last room for the hot dry saunas is the Oak and Clay Sauna with hotness can span from 55 to 58 degree Celsius. 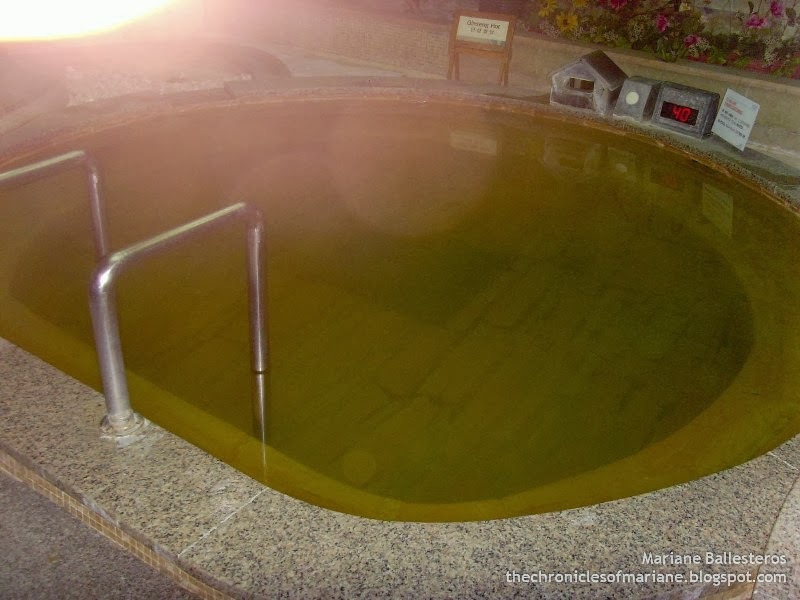 It is said that the loess or yellow mud in it helps intensify the body’s natural healing process, thus it is popular with pregnant Korean mothers to frequent this room three weeks before they give birth. 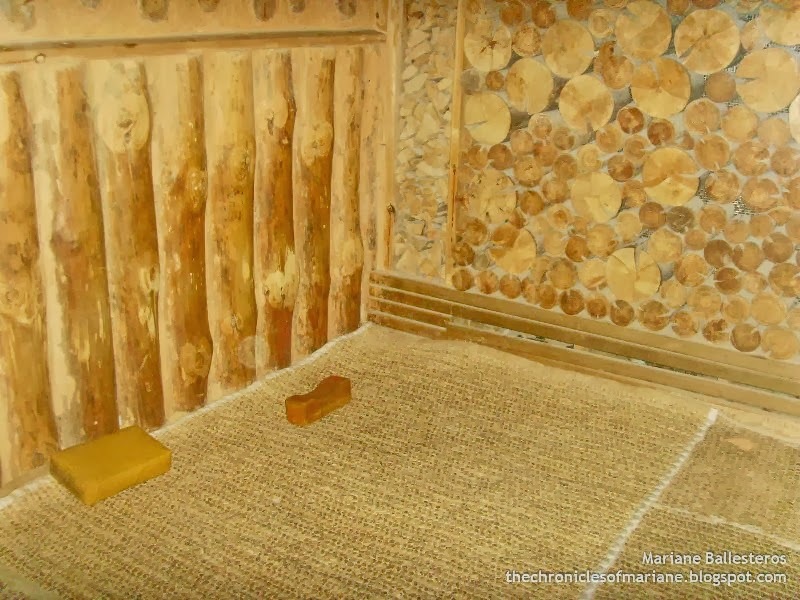 I personally liked the Oak and Clay sauna because it wasn’t super hot and the room is the largest compared to the first two mentioned. 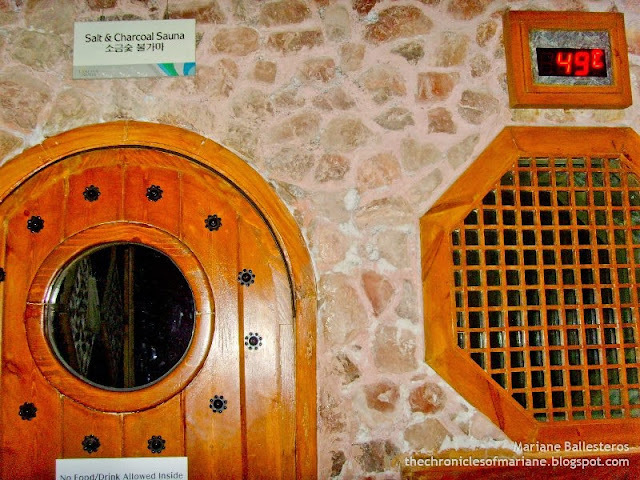 When going in the rooms you could actually bring a wooden pillow so that you could lie down and feel the heat. It is also said that putting your back on the walls or the floor would help your body absorb the benefits of the minerals. 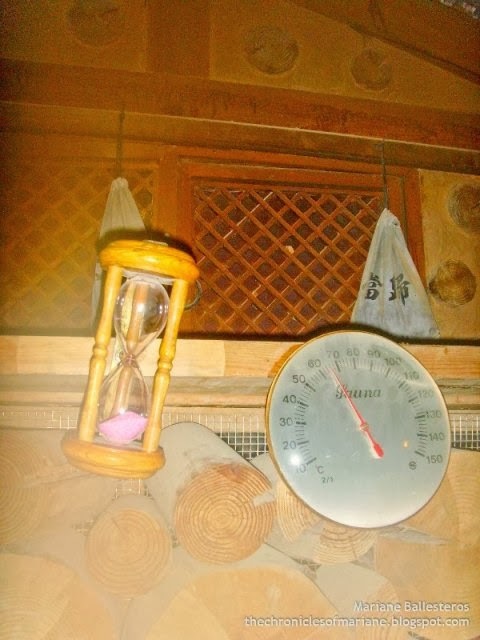 I also noticed that there are hourglasses inside that you can use to measure how long you have stayed inside the room. A tip also that a Korean friend gave me before is to take 10-15 minutes on a room, rest outside for 5 minutes, then go again to a different room and so on. After that routine, rest outside for 10 minutes, and then proceed to the ice room. He said that it will help on the circulation of the blood, of course I don’t have anything to prove that. If you get bored (and I assume you will especially if you go alone), bring something to read with you. There are comics in the common room but everything is in Korean. Last of the dry saunas is the Ice Room which literally has ice in it. Coldness ranges from 0 to -10 degrees! Brrrr! It was crowded when we first went inside so it was like being inside a refrigerator. 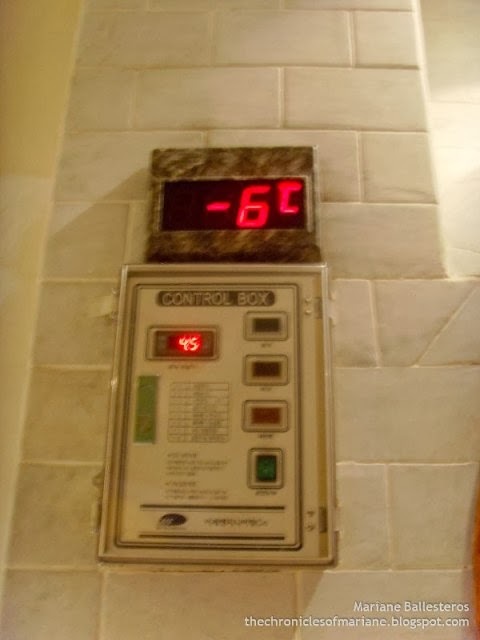 But trust me, it’s not super cold and it helps neutralize our body heat from the previous saunas we tried. After some rest, I proceeded to the wet area in the locker area to try the pools. First thing you have to do before going in is to be in your birthday suit. Yup, everybody does it inside. If you’re a bit conscious, you can try going during midnight as fewer people tend to go during that time. Before going into the pools you must clean yourself at the shower area, there are liquid soap and shampoo provided. You may be scolded by some ahjummas if you try to go in wearing a swimsuit. weird to sit down in this considering other naked people have done so. 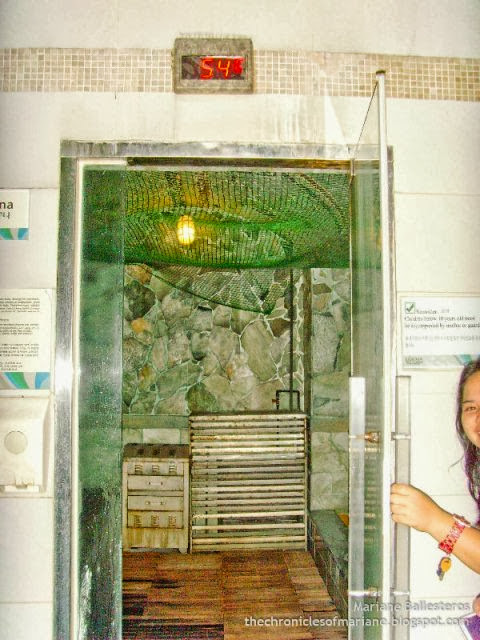 The main highlight of the Wet Sauna is Jade that is said to radiate the same wave energy of a human body. 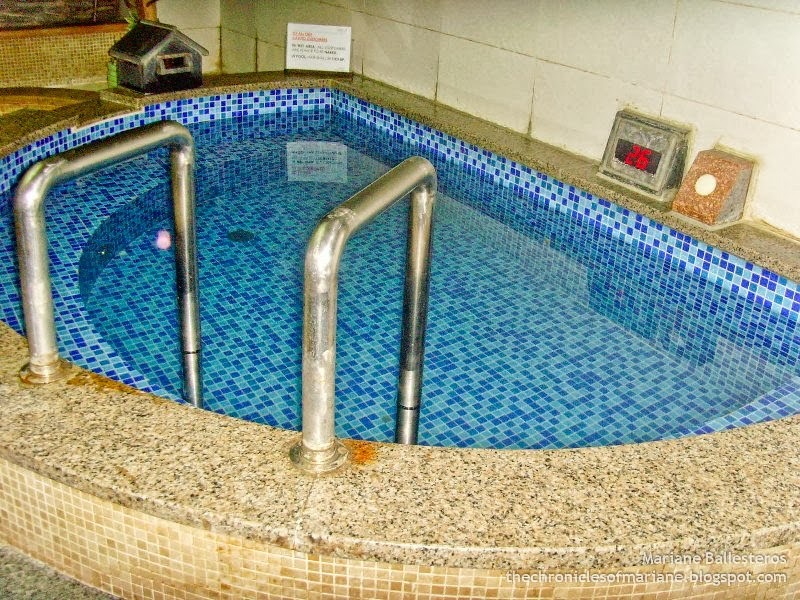 The health benefits are for blood circulation, cell texture revival, and excretion of harmful wastes in the body. 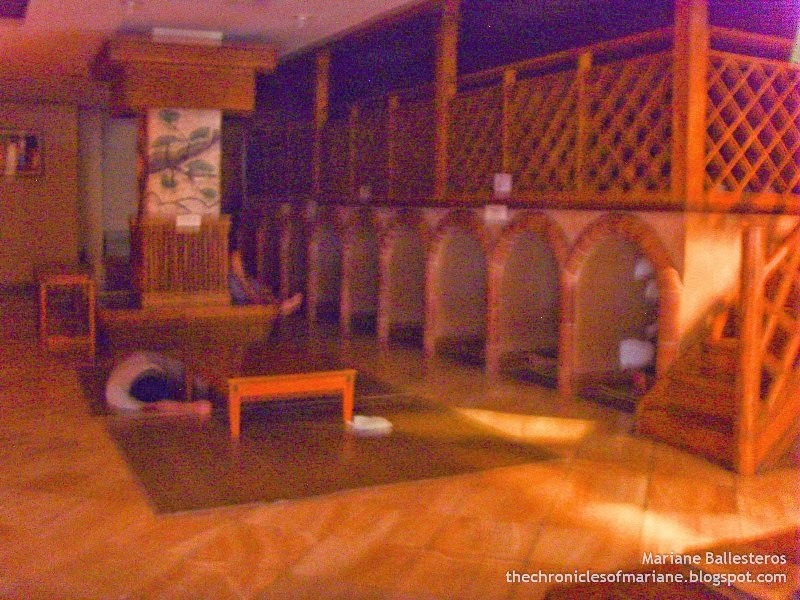 It was as comfortable as the dry saunas and also liked it except for the fact that you have to be naked inside. Hotness spans to 55 to 60 degree Celsius. Afterwards, I went on to the pools: two of them are hot and the other one is colder. The Hot Ginseng Pool was my favorite with a temperature of 40 degrees or so. The Green Tea Pool only had 42-46 degrees but I would usually transfer to the cold pool after five minutes because I couldn’t tolerate the heat. Both these pools are said to help on preventing cancer and reduce cholesterol in the body. 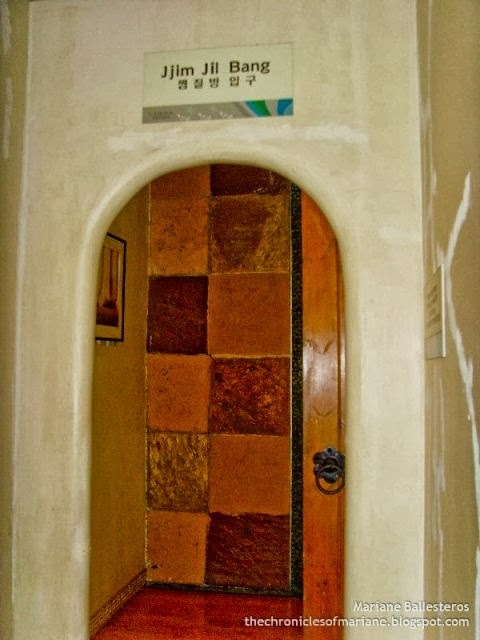 If you plan to have a massage, you have to reserve a slot in the reception inside the jjimjilbang. They did not have a masseuse during midnight so I waited until the morning for our schedule. 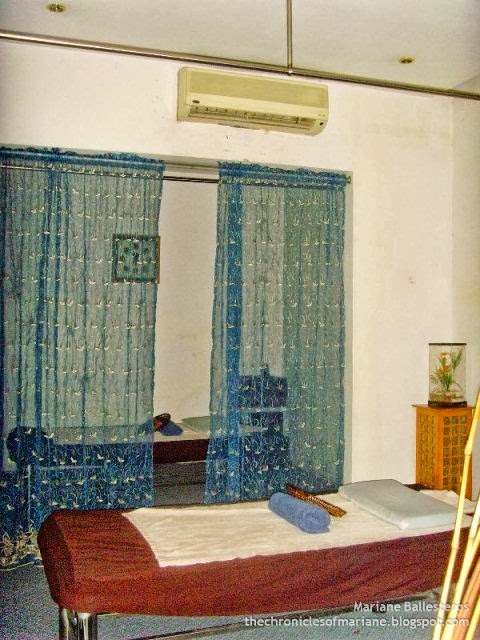 We tried the Swedish massage for an hour, I am not expert on these things, but my therapist was thoughtful as she will ask me from time to time if the strokes hurt but it was actually very relaxing and helped loosen some pain I felt on my legs and feet (I came from a trekking trip before that day). 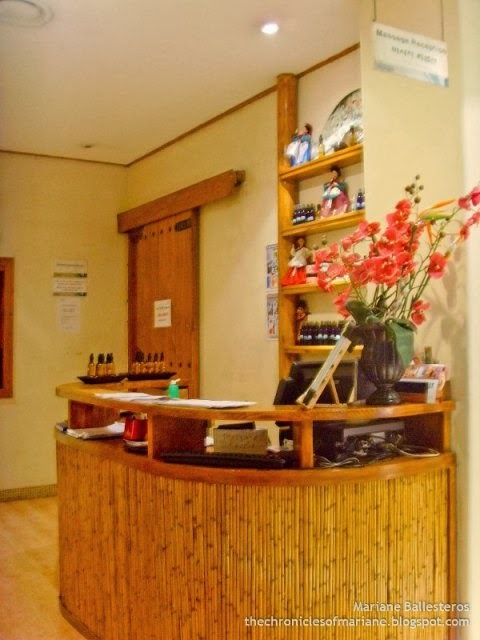 You can also opt to try the Shiatsu, Combination, Deep Tissue, Lomilomi (Hawaiian Massage), and Lymphatic. We stayed for 12 hours inside Lasema and since we were prohibited to go outside, there was nothing much to do except relax and talk and bond with the family. My parents tried to take a nap in the sleeping caves but they told me it felt uncomfortable, so they decided to just sleep in the common room facing the TV. There is also an entertainment room with reading items but if you can’t understand Korean, then nothing is available for you. BUT, Lasema has strong Wi-Fi connection so you can bring your laptop or smartphones. I never got to try the PCs but there are available units for 50 pesos an hour. 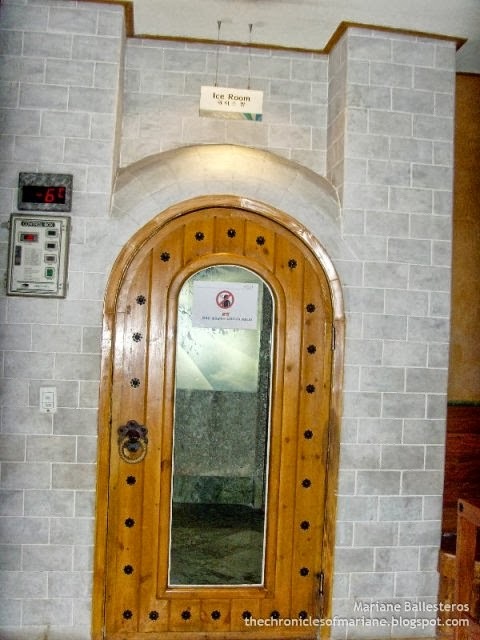 There’s also a smoking room for those who can’t resist to take a puff. And of course, what’s a kid like me to do except to eat and to eat. The restaurant was closed when we went there so my only option was the snack bar. The food they have will totally amp up the Korean experience! All my favorite goodies are there, though the price is way over the top. 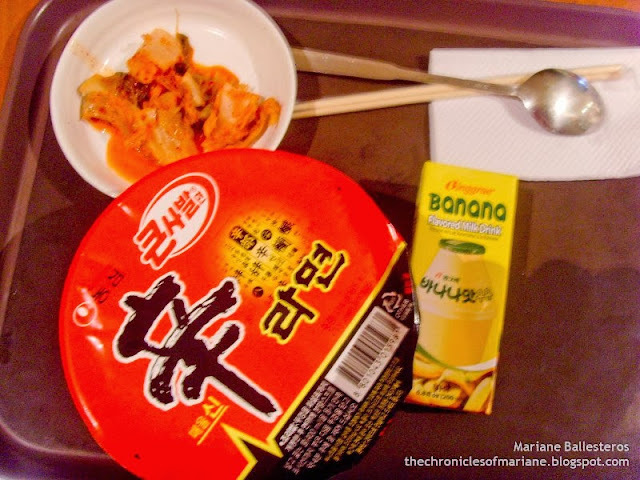 P 150 for a cooked ramyeon and iced shikye for P 100! But I can’t resist so I eventually bought some. 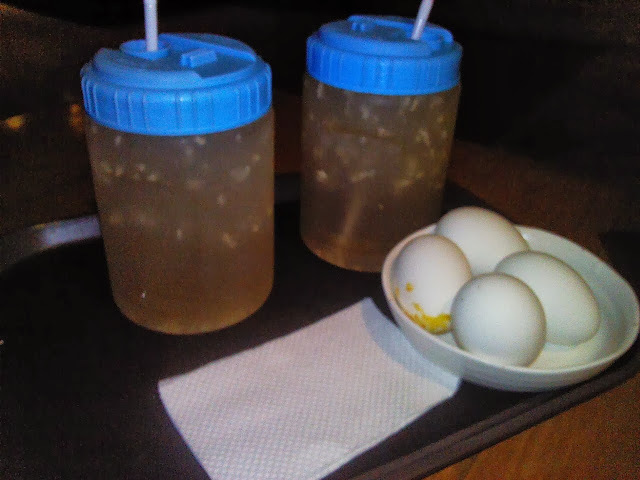 I probably had three or four each of maekbansak (baked egg) and iced shikye (rice juice)! Did you know that the eggs they sell here were baked inside the Clay Dome Sauna? 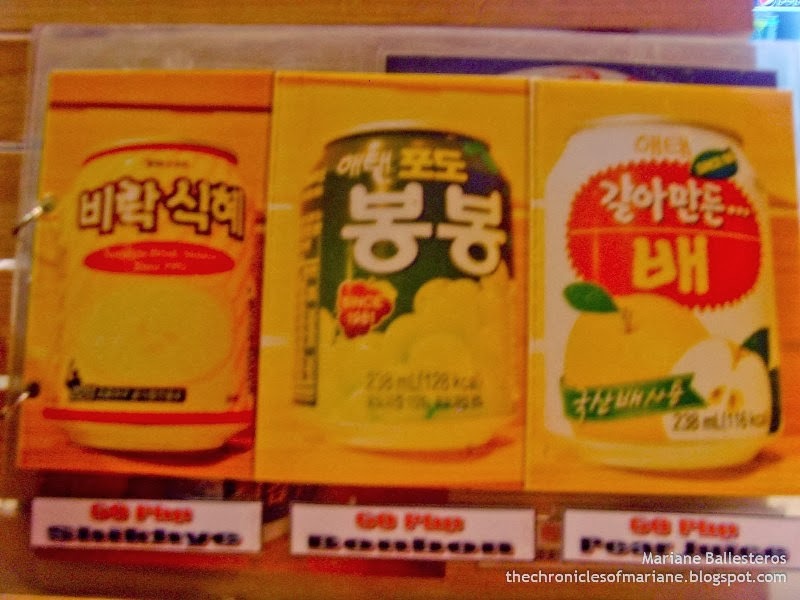 I also saw my favorite juices in Korea priced for P 60.
the eggs were even baked at the dome clay sauna! 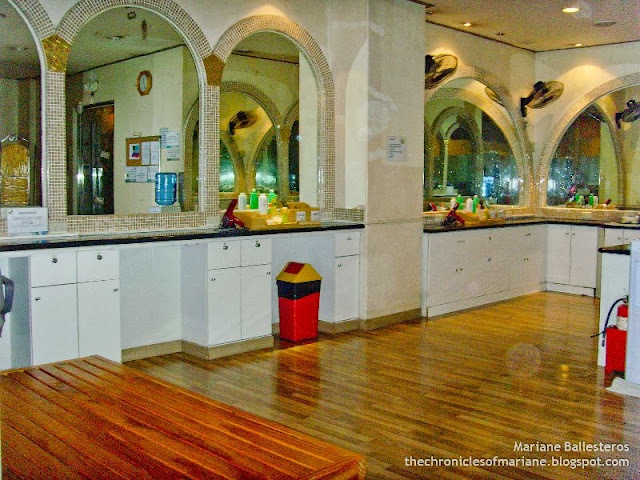 Accessibility/Location: 4 – The location in Makati is excellent! Take the LRT or MRT and it’s a bus away from the station. 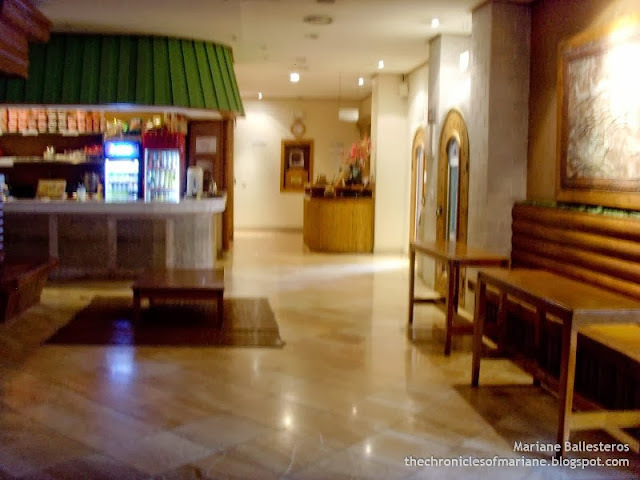 Ambiance/Staff: 3.5 – The staff that we saw all throughout our stay were cheerful and polite except for the receptionist during night shift who looked bored and it felt to me like she just wanted to finish her shift, at least show a smile to the customers please. 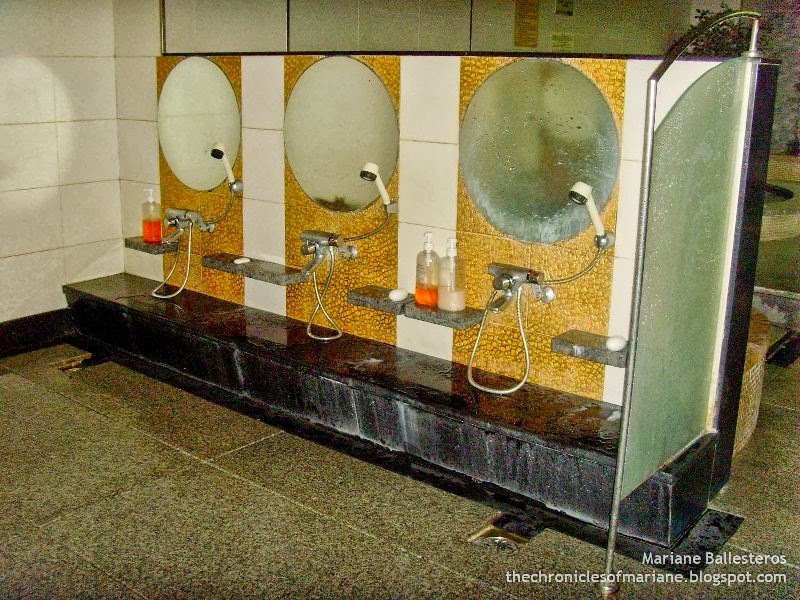 Amenities: 4 - It was not my first time in a jjimjilbang so I did not have any problems but the concept is very new to Filipinos so guides would be a big help. They are starting to attract Filipino patrons so it might help to also add Filipino or English magazines in the common room. 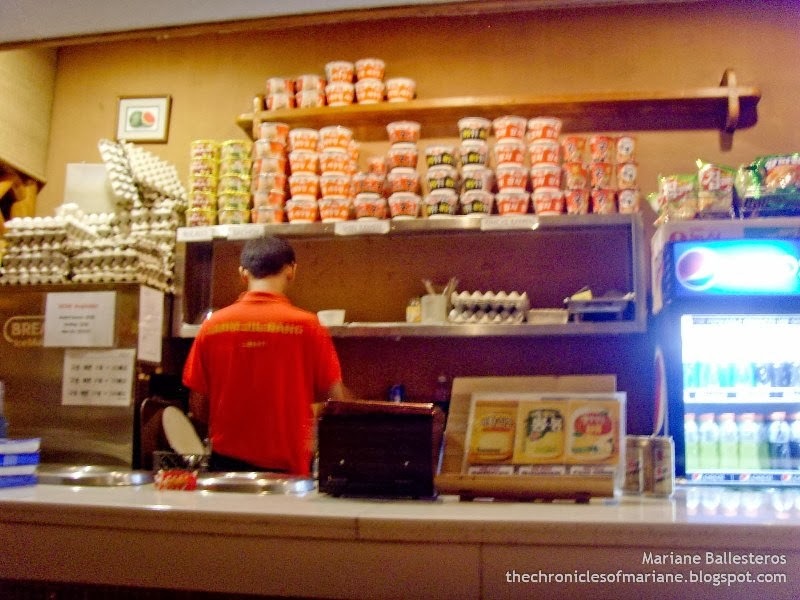 I also hope they could improve the prices of the food in the snack bar – way too expensive! Other than that, commendable maintenance of the jjimjilbang! Price: 3.5 – The price we got for the voucher was a good deal, though I couldn’t really say the same if we got it for the regular price of P 900. One could still avail of the services if you like to avail them separately. must eats when going to the jjimjilbang! 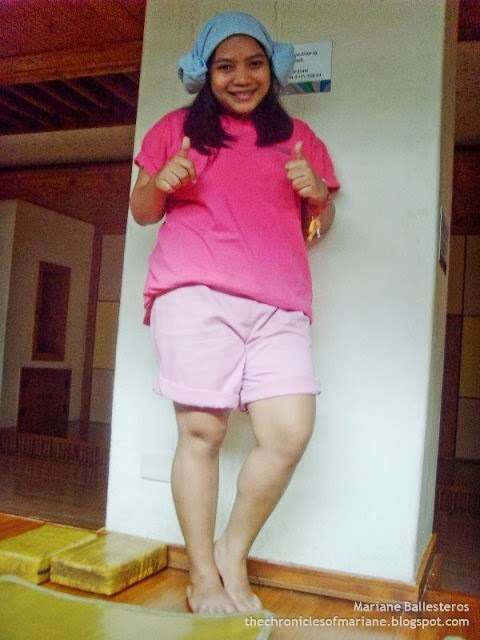 I totally enjoyed our stay here and I am so happy that jjimjilbang is here in the Philippines! 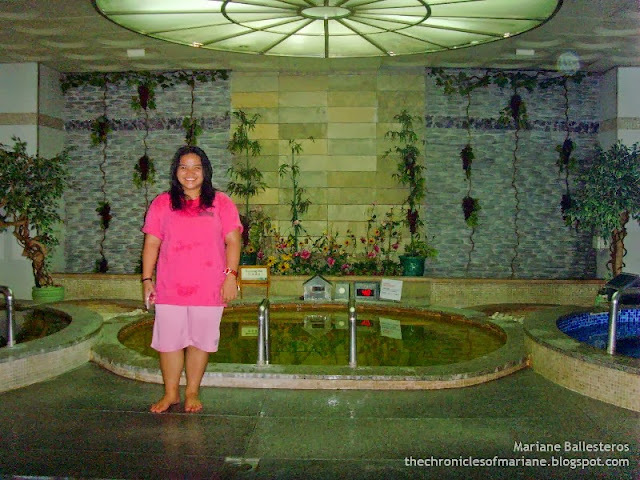 It is one of those places in Manila where you could just be yourself in those baggy clothes, relax and pamper yourself without the stress of the city’s pollution. Can’t wait to come back! I'm quite excited for this and I would like to ask if men and women are separated in the wet area since that there is a policy that customers should be naked in that area. 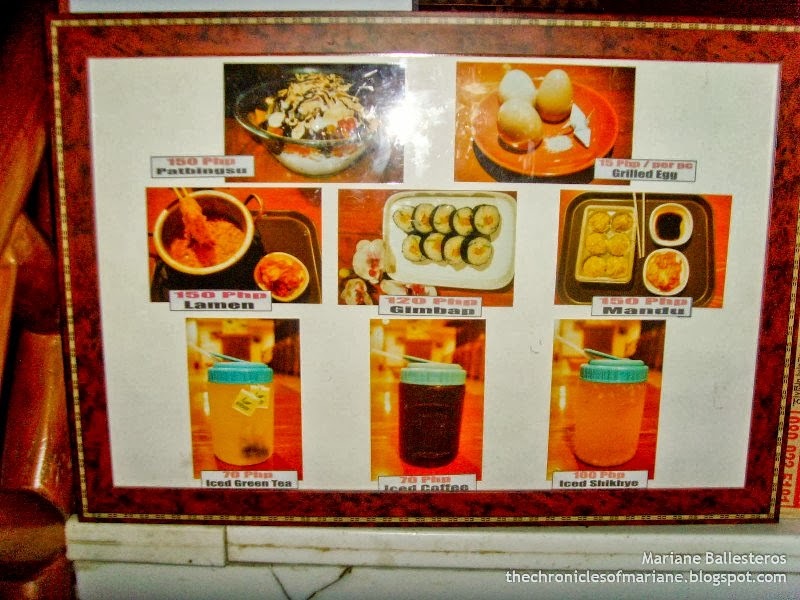 Foods are not included in 900php? So say, we need to prepare at least 1500 per head if we wanted to eat while inside? In P 900 Is it unlimited time to stay there? 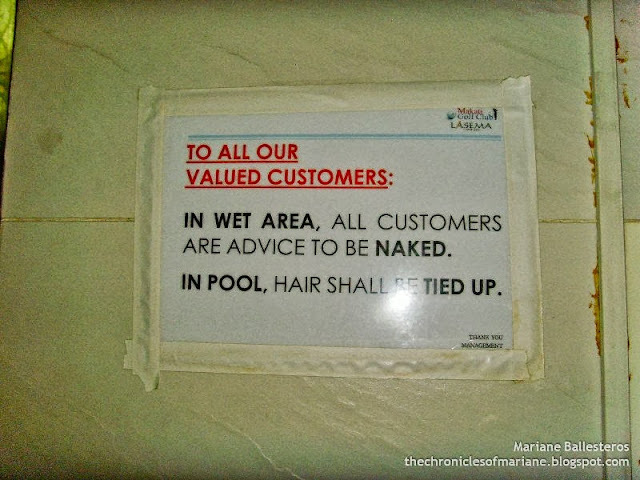 Havent tried going in naked to a spa or sauna. Does it feel a lot uncomfortable?are there usually a lot of people? Aside from midnight, when is the best day or time to visit and what time are they open? This review is real helpful and perfect timing too because my friends and I will be going there next week. Ever since I've seen jjimjilbang in this one Koreanovela, I've been real curious about it. I'm just a lil worried about being in my birthday suit though. I must take courage! Lol. 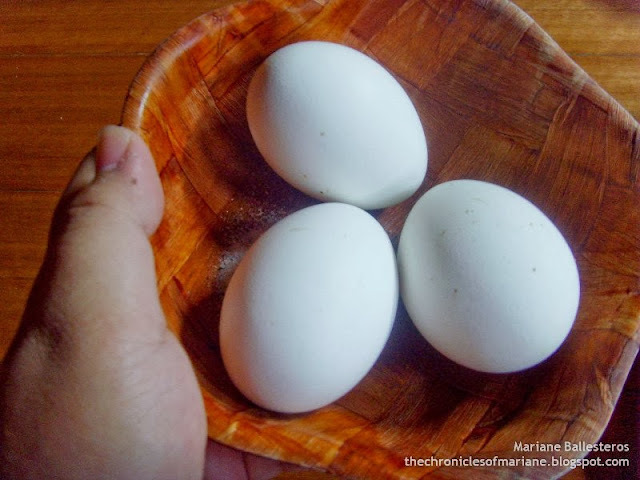 Hi Mariane! Thanks for doing this review as it helped us decide if we are to buy the deal we saw online or not. I would just like to confirm if we can still wear undies when going to the wet room? Thanks! You can skip going to the wet area. But as stated in the review, it is in the same area where the lockers are located. So you will get to see naked men/women (depends on your gender). I try like this when I'm in Korea and I excited to do this here in Philippines. can i cover myself with towel going to the pool? then take it off when i get into the pool?